Part-time math teachers help struggling students grasp math concepts. American students lag behind those of other countries in math, says "The Wall Street Journal." Hence, the reason there is a demand for part-time math teachers. The job can be rewarding as it offers flexible scheduling along with the satisfaction of helping others learn. These jobs can be a great source of additional income for those in need of extra cash. They can be instrumental in helping students improve their test scores for college admissions. The setting can be one-on-one tutoring, online instruction or involve a test or learning center. Part-time math teachers' duties are similar to full-time teachers. 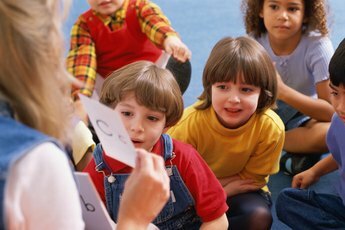 They assess their students' strengths and weak points in the subject and monitor the student’s progress. They sometimes give short lectures, quizzes, and assignments to evaluate the student’s skills, and they often use interesting materials such as educational math games, flashcards, and other fun math activities to heighten the student’s attention in the subject. Usually, it is the math tutor’s responsibility to keep parents informed about the student’s progress. Online math tutors provide one-on-one coaching through the Internet via voice or text chat. This job allows math teachers to teach not only Americans but also foreign students, ranging from kindergarten to university level. In most cases, online math tutors are only expected to give instructions based on a developed curriculum. They do not need to create their own lesson plan or grade assignments. Salary is based on the number of hours they work. Moreover, they often have the option to work part or full time. Freelance math teachers conduct tutorial lessons in their students' homes or public locations such as a library. To gain clients, they usually post flyers at schools, college campuses, community centers, or online bulletin boards. 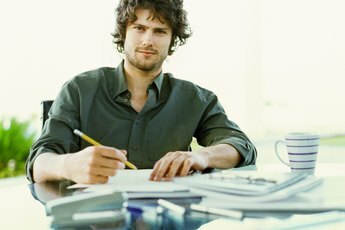 Unlike math tutors working for test centers, freelancers are expected to develop their own lesson plan. Getting started as a freelance math tutor can be quite difficult because you must continuously market yourself. However, you can get referrals after you help a student improve his score in a math exam. 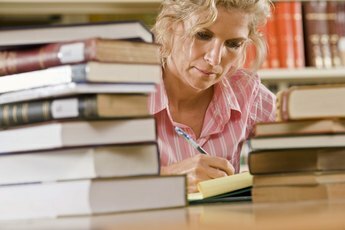 Working for a test center can be ideal for part-time math teachers. They usually help students prepare for tests with math components such as the GMAT, GRE, SAT, and PSAT. As a tutor or test center professional, math teachers might conduct lessons one-on-one with the student or in a classroom setting. Typically, the test center provides the material and pays the math teacher directly. Advantages of working for a test center include job stability, steady income, freedom from searching for new business and the safety of a classroom as opposed to going to a student's home. Since math has different branches, a part-time math teacher must have mastery of basic and advanced subjects like algebra, calculus, geometry and trigonometry. Although math majors are the best candidates for this job, those with degrees in engineering, economics, education, and other related sciences can also qualify. The salary is usually based on employer, intended audience, experience and location.